Property 3: Villa with swimming pool, park and private pine forest, 100 meters from the sea. Property 15: Luxury Villa with Jacuzzi Outdoor 10/12 beds. 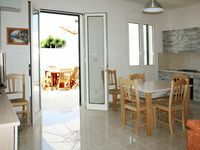 Property 17: Solemarehome Salento (Gallipoli), relax among the olive trees to 500 m from the sea. Property 24: Villetta lfonso Alta apartment in Marina di Mancaversa with private terrace. Property 25: VILLA "AMALFI" ON THE SEA GALLIPOLI - MARINA DI MANCAVERSA SPECIAL 2019 !!!! 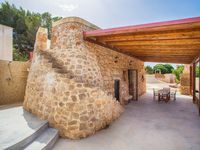 Property 29: Beachfront villa a few kilometers from Gallipoli and every tourist attraction. Eine sehr lustige Erfahrung war es f&uuml;r unsere Familie, eine Woche in S&uuml;ditalien in einem Trullo am Meer zu verbringen. Wir haben das Leben draussen und die sch&ouml;ne Unterkunft sehr genossen.